Skippy’s up to almost 2 hours a day between piano, electric guitar and acoustic guitar. The house is filled with music and I love it. My favorite part of it all is when he just relaxes and it becomes something other than a practice session. 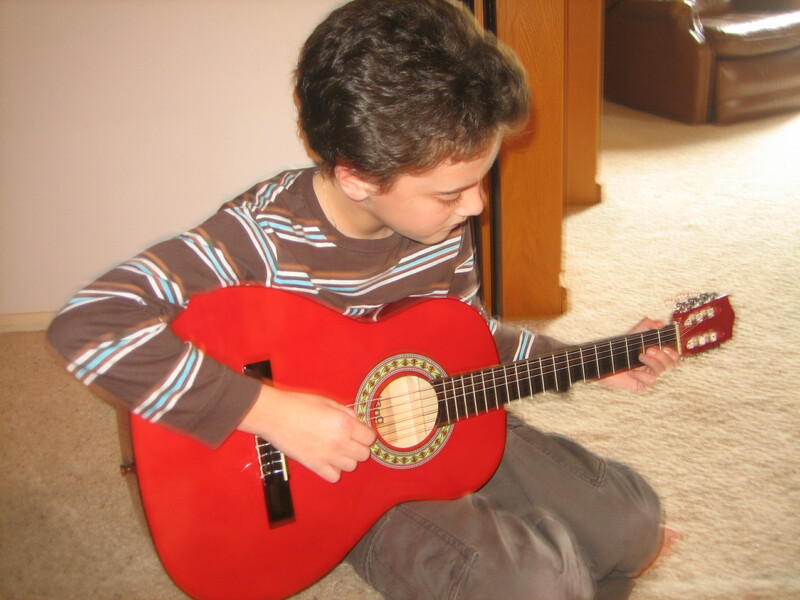 I call it “plinking,” meaning he just goes into the zone and composes or picks a favorite song out by ear. Simply lovely…. “You did?” Me, semi-distracted. . .
And he proceeds to sing and play Simon and Garfunkel’s song of the same name, nearly impeccably, by ear. My boy and I are kindred spirits when it comes to music and I love that he appreciates and hears the poetry in a song like this. If you’ve never heard it, or have forgotten it because its been too long, do yourself a favor and listen now. There isn’t enough poetry in the world today, and we need to grasp it and hold onto it when we find it, wherever that may be. One of the very best books I read this summer — perhaps all year — was Christian McEwan’s lovely World Enough and Time: On Creativity and Slowing Down. I posted an excerpt here that really spoke to me. Christian points true north in her recommendation that we reclaim quiet and slowness, and relearn to savor awareness in lives too often gone awry by speed, haste, and multi-tasking, our creativity and imagination suffocated by the noise that attends these harried, unfocused but increasingly “normal” behaviors. I have an intrinsic horror of chaos and I do not believe it is possible for me to live a truly creative life, in either a spiritual or an artistic sense, in an environment that seeks to encourage chaos instead of order, harmony, and balance. The truth is, I don’t have to participate in the chaos. I do have a choice, though I may be made to feel as though I don’t, or that in exercising my choice to slow down and swim on my own side of the stream I am somehow “not with it” and need to “get up to speed.” I’ve been struggling with the sense that my life, my mind, my health, and my world have all been unravelling with greater speed and urgency over the last couple of years, so Christian’s book was just what the doctor ordered. I took quite seriously her encouragement to “Choose to refuse,” and have been practicing the simple art of saying “No,” along with the attendant art of not apologizing or feeling guilty for saying it and using the resulting new-found time to be more available to the opportunities God is offering to me in the sacrament of the present moment. Being more present to what is happening in the moment is necessarily going to look different for each person. It all depends on how plugged in or overextended you are. A good friend of mine is experimenting with unplugging from the Internet each weekend to allow for quiet spaces to process her writing. One thing I’m doing is trying to stay with the task at hand and resist heartily the urge to multi-task — meaning if I’m helping my son with his math lesson and the phone rings, I let it ring. This is extremely difficult to do because as a full-time mother and housewife, full-time home schooler, and part-time high school teacher I’ve got my hands full and there is rarely a moment when someone doesn’t want or need something from me. How do I meet everyone’s needs and still have something left over? Prayer is essential, but so is slowing down and making a place for quiet and a more moderate pace through the day. One of the things people praise our current Holy Father, Pope Benedict XVI, for is his ability to make the person with whom he is speaking feel like the only person in the world. This is a tall order. But should it be? Why is it so hard for us to pay attention to who or what is right in front of us, without being distracted by something or someone else? Obviously, prudence and discretion is required: if I’m driving and my son wants me to look at or listen to something that requires too much of my attention, well, he simply has to wait. Keeping us alive and safe in that moment is the most important thing. But in this time of instant gratification and self-centered social interactions, this kind of patience is difficult to acquire and practice, for others and for ourselves. Yet it seems to me essential. Rather than whipping myself and others into higher speed, I must learn to be OK with allowing myself and others to move slow, appreciating the time it takes to be on task and do a job well and thoroughly before moving on to something else, and allowing the person I’m interacting with the gift of my full and undivided attention. Because God is present to me in the moment, not in the next thing on my to-do list, not in what I could be doing instead. But right there, in what I am doing NOW, in who I am with NOW. Michelle Aldredge at gwarlingo has taken up the clarion call issued in McEwan’s World Enough and Time and has an article today about Christian and her book as part of her new series on creativity, which I highly recommend following — it’s worth every minute you’ll spend reading. You can also hear an interview with Christian on Writer’s Voice with Francesca Rheannon. Christian’s book is worth seeking out and reading slowly. Treat it like a personal retreat, a gift to yourself, a promise to take back some of what you might be allowing to be taken from you. Reading it may be a step towards reclaiming a more creatively aware, spiritually intuitive self. Not everyone is going to be happy with your choosing to refuse and not everyone will understand the grace that will be revealed to you in each moment that you choose to pay attention and focus on what is happening NOW. But you’ll be better for it and the inner change it will work in you will be evidence that you’re on the right path to living a saner, more peaceful, more present life. 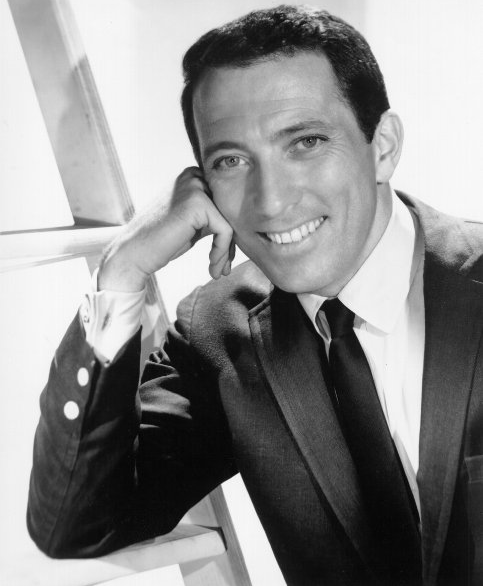 I grew up in love with Andy Williams — I’m not too young to have enjoyed many years of watching his Christmas specials and growing up with a pretty solid crush on him. What a beautiful, soothing voice — comfort, coziness, holidays, and romance. Grateful for the gift of mellow tunes and beautifully warm memories. Cheers, Andy, and thank you for sharing your gift for so many years. Here are a few that send me somewhere else. . . Enjoy! 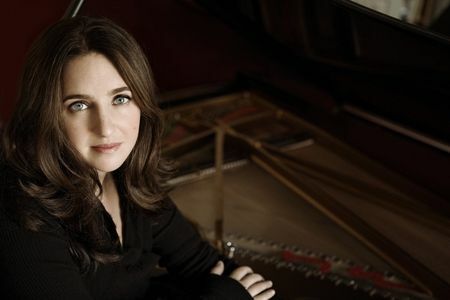 I’ve been stalking Simone Dinnerstein for about a year now, since I heard this interview with her on NPR last year when she spoke about her unique interpretation of the music of Johann Sebastian Bach and her new album Strange Beauty. I was captivated by her presence in the interview and her unique perspective on Bach’s music, which is unlike anything I’d ever heard. Funny how God listens — we think we aren’t being heard and then suddenly a wish to satisfy the soul’s longing for beauty comes true. I’d wanted to hear Ms. Dinnerstein since I heard her on the radio and then suddenly news came through the local symphony that she’d be playing in a recital for the Corona del Mar Baroque Festival, right in my own back yard. I had to go. Last night, I was not only able to finally purchase Strange Beauty, but was able to hear Ms. Dinnerstein play live at the Segerstrom Concert Hall in Costa Mesa. A true beauty break. I simply floated away, eyes closed, on a cloud of baroque dreams. Since I’d had an uber-busy day, I was very aware of how uptight I felt when I arrived at the concert. But as Ms. Dinnerstein began to play, I gradually felt the tension, fatigue, and anxiety of the day melt away as my breathing slowed and became more regular and I just closed my eyes and gave myself over to the music, entranced, relaxed, at peace. Something about the way her fingers flitted along the gleaming white piano keys like a dragonfly over a water-lily . 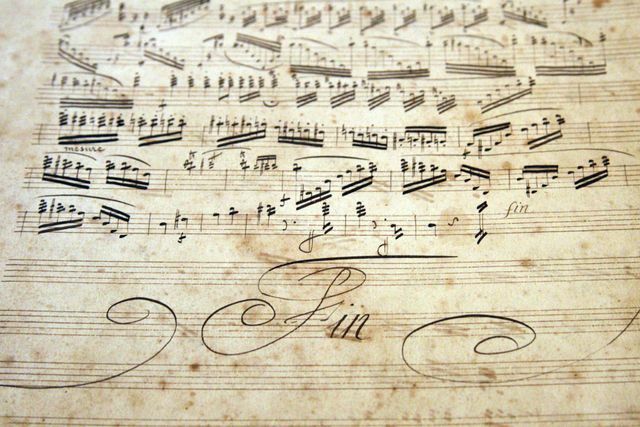 . . Something about the diaphanous way she coaxed Bach’s fluted flurry of notes lightly out of the keys . . . She at once gave voice to his compositions for clavichord and harpsichord while at the same time making them her own. A few things occurred to me while I was listening to and watching this gifted musician. She’d memorized each of the four extremely complex pieces she chose to play for this recital. This is simply amazing to me. I know a little — very little — about the difficulty of what I saw her doing with her hands, and the timing of the pieces she shared, to appreciate the delicate and complex beauty of her choices and her approach to expressing them. Another thing I noticed was the depth of her gift and how long and hard she certainly has had to work to cultivate such mastery of her art. She makes it look easy, effortless, but I know this is an illusion. For myself as a writer, Ms. Dinnerstein is an apt role model. Writing should have rhythm and order, structure and beauty. Good writing, beautiful writing, should be musical at its very heart. Ms. Dinnerstein approaches music something like a painter or a writer — perhaps because her father is an artist — and is acutely aware of her “voice” as a musician, what she brings to a piece that makes it uniquely her own. I desire to have such fluidity in the practice of my craft and its end results and ultimately such an awareness of a signature voice in my own work. Finally, the experience of slowing down after a rat-race day just made me more aware of how much more of a concerted effort I need to make to reduce the clutter in my life and make a place for slow beauty. Taking my time, trying to live more in the present moment will enable me to be more open to whatever gift the moment holds. There can be a “strange beauty” even in the difficult times and Ms. Dinnerstein’s perspective on Bach reminds me to try to pay attention to that. Curious to know more about this brilliant artist? Need an extra special beauty break? Take a few minutes to check out the links here, or simply sit back, relax for a moment, and enjoy this gorgeous video. Courtesy of my dear friend, Kathryn. Take 10 quiet minutes some time today. It could change your day, your week, your life. My sorrow, when she’s here with me, thinks these dark days of autumn rain are beautiful as days can be; she loves the bare, the withered tree; she walks the sodden pasture lane. As we move in to the months of autumn, I’m beginning to tend to the things that will enable us to settle in for the winter — or at least as much of a winter as we ever get here in Southern California. The days are rapidly shortening and in the last week, the night time temperatures have dropped well into the 40s. This is my signal to take a beauty break, get back out into the garden, and start tidying things up. For those of you who have been reading here for a few months, you may remember when I posted about starting our garden back in June. I thought it might be fun to share with you what I ended up with. No matter how many plants and seeds I nurture along, I can never get over the miracle of life in the garden. This year, there were a few surprises. The tomatoes were seedling transplants that took forever to get going. But once they did, as you can see they literally took over the entire plot! I’ve never had such high-maintenace tomatoes in my life! They grew outwards and trailed more like a squash vine than the tall, more bushy tomatoes I am used to. Some of the branches were easily 10 feet long or more. Obviously, they refused to be confined to tomatoe cages or really to be contained at all. While producing a great deal of fruit, these hardy plants eventually posed a danger to the rest of the garden community by blocking the sun. Thus, the beans and peas died, the basil shrivelled, and the parsley had to fight to stay alive. Today I cut it way back to let in some light and cleared away the not-so-lucky plants who were unable to thrive under the vast tomatoe canopy. Two unexpected miracles. . . . this little half-eaten kale plant was started from a tiny seed back in June. It struggled to survive and at one point, I really thought I’d lost it. Suddenly it started growing. After 4 months its still under 6 inches tall and shows continual assault from some unseen pest. But I am hopeful that it’ll survive to provide at least a few meals for us this winter. As I help the garden move through its final phases, I am reminded that each season in nature symbolizes a corresponding season of human life. As I enter into fall, I am reminded of my aging, of the miles I’ve gone on my journey and those I still have yet to go, and see that in the perhaps not-too-distant future I may enter the winter of illness and death. In her wisdom, the Church seems to be aware that, consciously or unconsciously, we may be having such thoughts about the road we are walking and so she ushers us into the last two months of the year with the great feast of All Saints. The Feast of All Saints reminds me that I am living in the fields of the Lord. Looking to all of the holy men and women who have gone before me, both known and unknown, I am reminded of the fact that, no matter what things may look like on the outside or how much it may feel like I am struggling just to survive or how many pests threaten to devour me, the seed of grace (God’s life in me) which I received at baptism is alive, producing and responding to the tending of the Constant Gardener. In his book The Three Ages of the Interior Life, Vol. 1, Fr. Reginald Garrigou-Legrange uses the analogy of the seed to explore the truth of the gift of sanctifying grace we are given at our baptism. The invisible seed of grace is in many ways similar to the tiny kale seed, or brussels sprout seed, I planted. It is pure potential. Legrange says that, “The value of a seed can be known only if we have some idea of what should grow from it; for example, in the order of nature, to know the value of the seed contained in an acorn, we must have seen a fully developed oak. In the human order, to know the value of the rational soul which still slumbers in a little child, we must know the normal possibilities of the human soul in the man who has reached his full development. 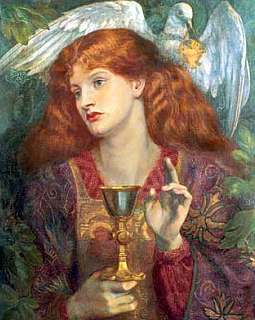 Likewise, we cannot know the value of sanctifying grace, which is in the soul of every baptized infant and in all the just, unless we have considered, at least imperfectly, what the full development of this grace will be in eternity.” The full development of this seed of sanctifying grace can be seen in the lives of the saints, who share with us their experiences on the path to holiness. Just as each acorn contains within it all that is necessary to become a great oak tree, so each of us possessed of sanctifying grace contain everything necessary to become a great saint, however little and unknown we may be. 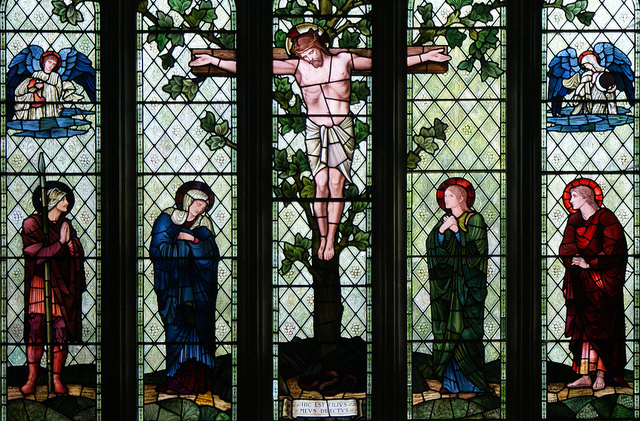 Typically, people associate the advent of spring with growth, new life, and rebirth and the Church is no different. But the Church encourages us to focus on the opportunities we are given for growth and rebirth throughout the year. At a time during the natural year when many in the secular world may find themselves occupied with thoughts of loss, decay, and death, the Church reminds us through the feast of All Saints, and the commemoration of the Holy Souls, that there hope in new life and that this hope is not seasonal but is rather a daily, year-round truth. God promises us through His Son that He will make all things new. Entering into autumn through the gateway of remembering our family in heaven reminds me to look again and be grateful for the tiny seed of grace I received at baptism, and to recall that while my own garden might be on its way out, God is still nurturing, planting, pruning, and feeding the garden of my soul where all of the seasons exist simultaneously.